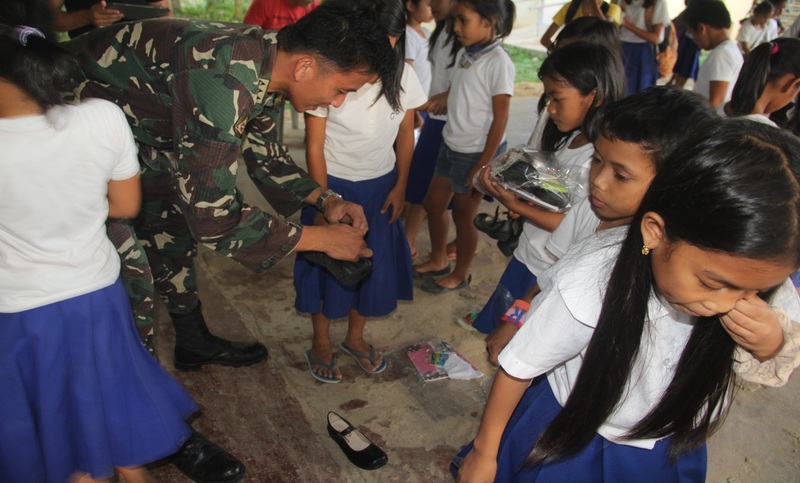 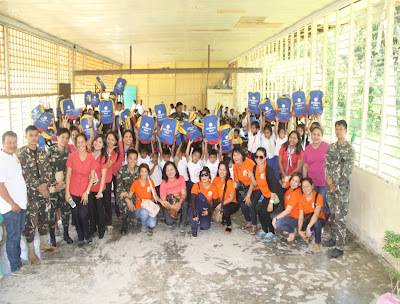 MAWAB, Compostela Valley Province – 71st Infantry (Kaibigan) Battalion in partnership with Kiwanis Club of Golden Tagum and Pag-asa Davao distributed school supplies to four elementary schools on Monday, March 7 2016. 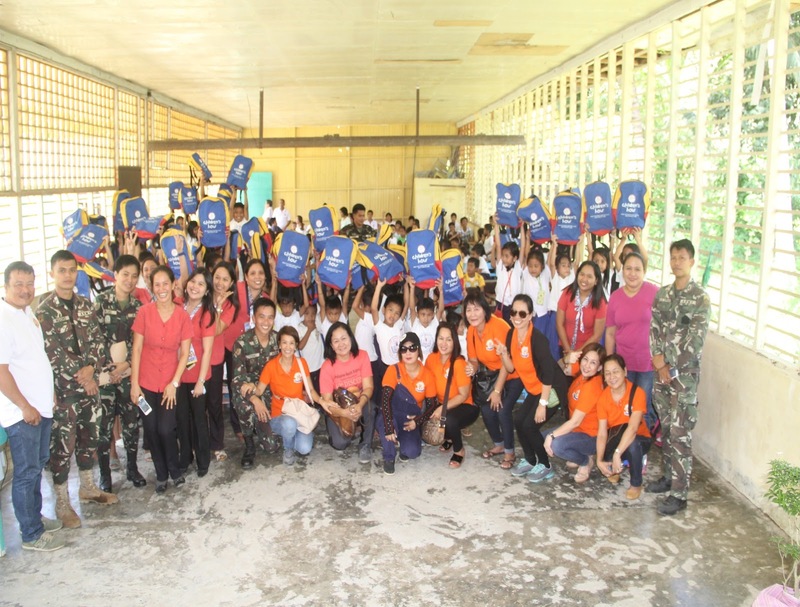 A total of 200 bags, 681 school kits (notebook, pencils, and papers), and 314 shoes were distributed to 681 pupil beneficiaries. 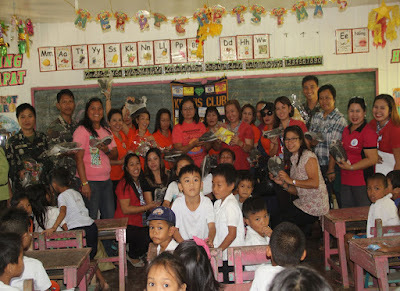 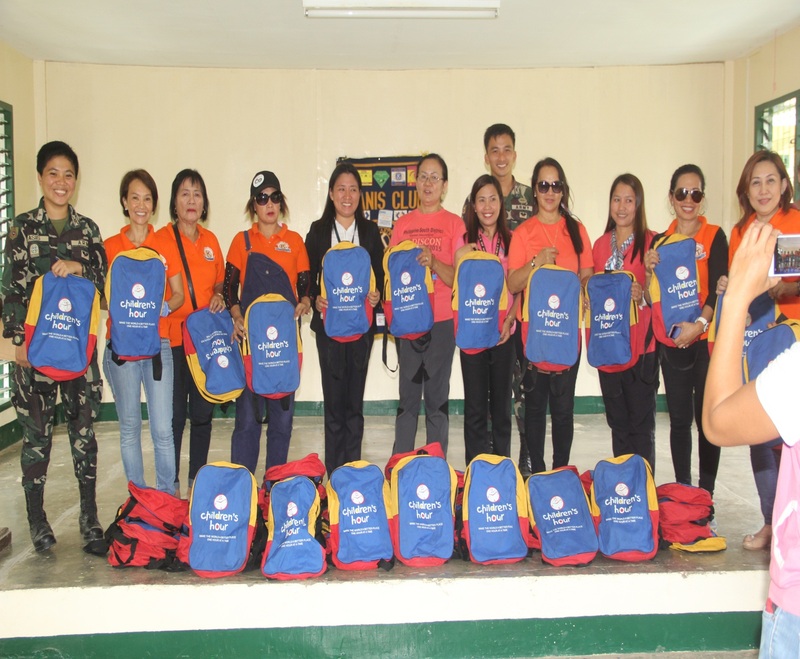 The school bags included supplies that would help the pupils and their parents to lessen their expenses for this year’s opening of classes. It will also keep them motivated on important aspects of growth and development as they prepare to enter into the next school level. DISTRIBUTION of school bags with supplies at Tan – awan Elementary School, Sitio Tan – awan, Brgy Malinawon, Mawab, CVP. 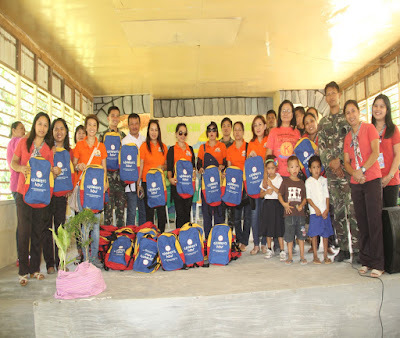 The four recipient schools of Maco and Mawab that benefited from the donations include Panibasan Elementary School of Maco, and three elementary schools from barangays of Mawab including Concepcion Elementary School, Tan-awan Elementary School in So. 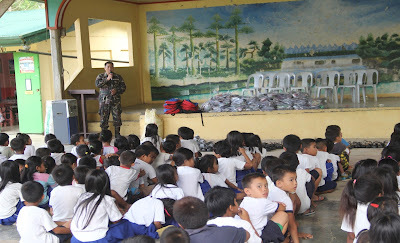 Tan-awan, Brgy Malinawon and Salvacion Elementary School. LTC DAVICE CHRISTOPHER G MERCADO, Commanding Officer 71IB delivering his message of thanks to the sponsors of the activity. 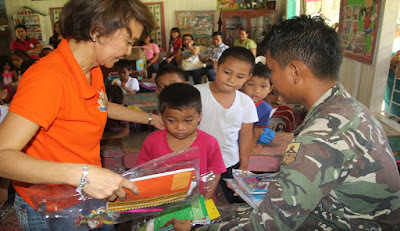 The donation activity was done on behalf of the Children’s Hour, in an effort to support the growth and educational development of students in the country. 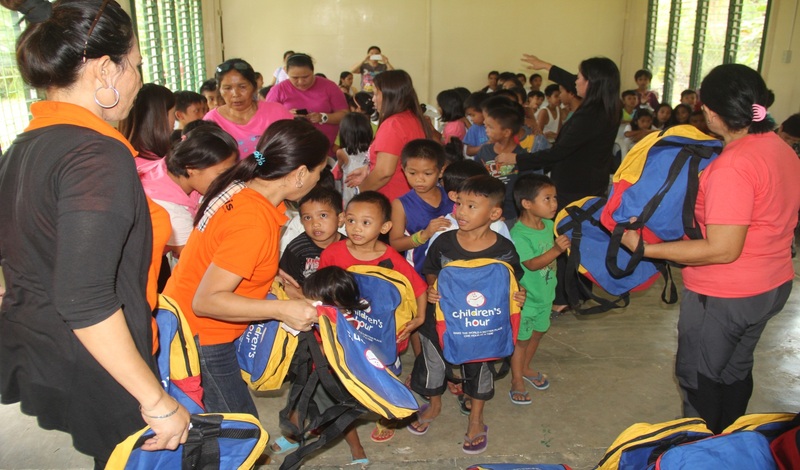 “We are grateful for the opportunity to be able to help the community in a simple way by providing school bags and supplies to our pupils as a source of encouragement to study well.” he added. The activity was followed by the signing of memorandum of agreement between 71IB and Kiwanis Club International with the school heads and barangay officials for the continuous support of the activity.